Art Deco jade, enamel, and diamond earrings. You are here: Home / Jewelry / Earrings / Art Deco jade, enamel, and diamond earrings. Are you ready for some beautiful, sleek Art Deco jade diamond, and enamel loveliness this morning? 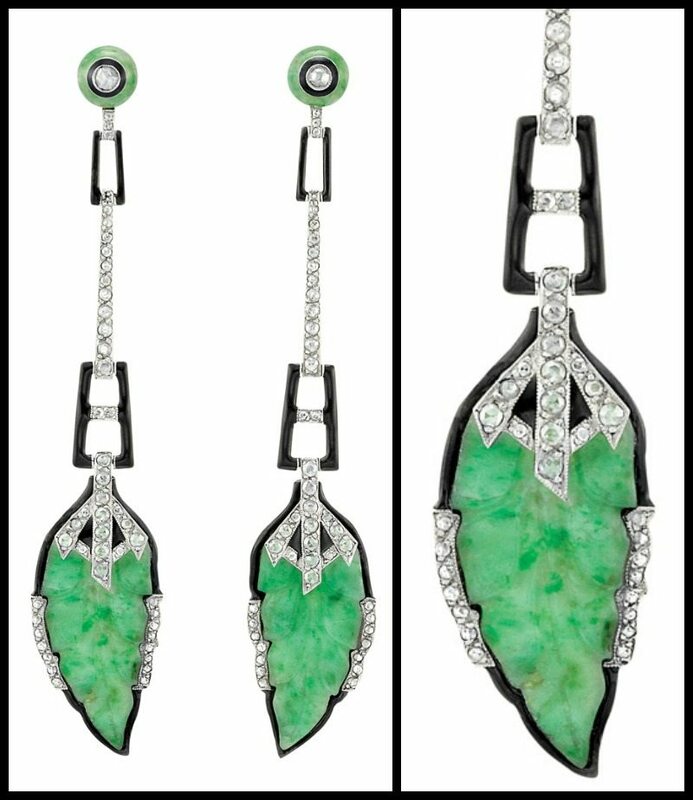 I noticed these earrings in a recent Doyle New York auction and they took my breath away. Look how these earrings use the contrast of just three colors to pop in such a bold, eye-catching manner. They’re from 1920 and they’re sprinkled with rose-cut diamonds. The carved leaf pendants and the outer layer of the surmounts are mottled medium apple-green jade, semi-translucent. The platinum elements are also delicately millegrained, lending the overall sleek pieces a bit of texture. Beautiful. What do you think of these beauties? 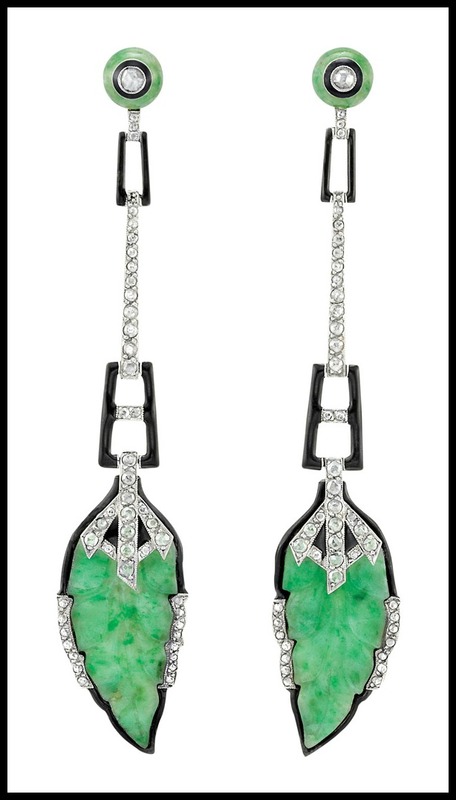 These Art Deco jade, enamel and diamond earrings were listed in a Doyle New York auction. All images and info are thanks to Doyle New York. Holy wow is all I have to say about those. Oh, and also, WANT. They would be lovely if they were turquoise. Green is so not my colour.